Home. 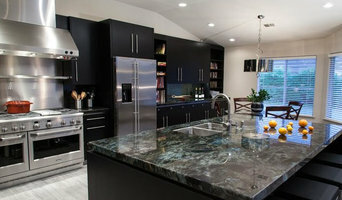 Designs is an Interior Design Firm offering personalized online and local interior design services. Have you ever bought something because it was on sale? You thought, "hmm for the price, I'll try it". Then you get it home, live with it for a few weeks and realize you don't really love it so you stash it away in the back of a closet. Sound familiar? At Home. it is our mission to help home owners stop this cycle of bad design decisions. 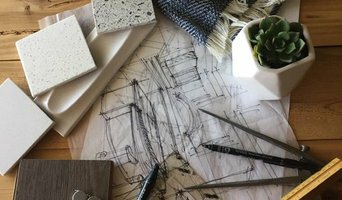 We want to create a road map of design that will help take your space to a place you will love. With our e-design service we will create your dream space, give you a goal, and give you the tools to complete that dream on your own time and budget. Or if you are ready to make that dream a reality, we will deliver you a full design service that will make you the envy of your family and friends! Contact Home. today to set up a consultation. 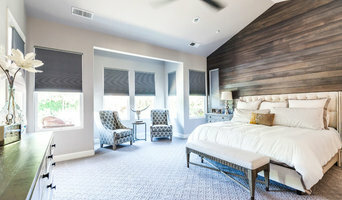 Gaila Designs specializes in creating everything fabric for your home - designing fabric window coverings, Roman shades, solar shades, woven woods, blinds, shutters, bedding, pillows, cushions, slipcovers and more. The firm helps you select fabric, trims and window hardware to integrate the design elements of your interior. When consulting with Gaila Designs, you work directly with the designer in the fabrication studio. Treatments are handled personally from design rendering to the last stitch, providing you with the quality and style you expect from a custom project. At Judee Malanca Designs, we bring more than 30 years of experience, so you can be sure that you're working with a reliable Fresno, CA, interior designer who's going to complete your project in a prompt, affordable manner. Our skilled professionals and highly experienced color consultants have the tools, expertise, and attention to detail to properly handle any interior design project you may have, from bathroom and remodels to office designs and home staging needs. Dedicated to Your Satisfaction We're a proud member of the Association of Interior Designers, and we're dedicated to our clients' satisfaction, whether they want a traditional style or a contemporary look. We'll help you transform your space into an area that's both functional and aesthetically pleasing. Get Your Dream Space Today Working with a Fresno, CA, interior designer at Judee Malanca Designs can provide your project with ideas and suggestions that you might not have considered. Give us a call Monday - Friday, 9am - 5pm to schedule an on-site consultation for your new, beautiful interior. Erin Melkonian meticulously envisions interiors with a fashion forward aesthetic. Erin Challenges the idea of what is standard, and pushes the boundary of beauty with her uniquely designed interiors. From a very early age Erin’s passion for creativity and beauty was the driving force in the way she viewed her world. Her mother fostered her creative prowess by teaching her the basic skills of painting, drawing, knitting, and sewing. Erin graduated from University of San Diego with a bachelor’s degree in Psychology and Theology. Acknowledging her unending creative spirit, she endeavored into the all consuming world of Interior Design when she enrolled at Design Institute of San Diego. While Attending design school, Erin worked at an architecture firm. She was hired as a designer at a prestigious design firm in San Diego immediately following culmination of design school. The opportunity to join her cousins in their family business of real estate development was the catalyst for Erin’s move back to Fresno. In 2014, Erin founded her own firm, Erin Melkonian Designs. Since the inception of her company, Erin has collaborated with homeowners to bring their visions to life. She derives great joy in building relationships with her customers, and approaches each design journey with equal excitement and curiosity. Parola Design works closely with you to carefully guide each you through the discovery of your own unique style and a transformative experience. Whether you are looking for a spec paint color, installation of art or a whole home design Debra partners closely with you to turn your dream into a reality! Serving the Central San Joaquin Valley, I Specialize in Window Treatments, Soft Furnishings, Upholstery and Interior Decorating. 25 + years experience with all aspects of Interior Decorating projects. I enjoy creating something new and unique for every client. I have extensive experience with fabrics and textiles and a great eye for color. I would love to work with you on your next project! We opened our doors in 1972 with the vision of providing our clients the ultimate interior design service. We turn your home into a work of art. We help our clients with their interior design needs, whatever the project may be. Everything we do is then based on our client's budget, color preferences and style. We're based in the Central Valley, and work with clients from all over California, including the Central Coast! A lifelong creative, Jennifer Smith discovered her talent for decorating years ago and has been designing clients' dream homes ever since. By combining a client's needs with enduring style, Jennifer crafts livable spaces with artistic spirit. She lends her discerning eye to a swath of interiors, from mid-century modern abodes to new traditional rooms. ParcelHouse Design, Inc. is a trendy multi faceted interior design company that caters towards busy families and professionals. We are a team that is made up of two amazing and creative women, Krystal Bennett and Tami Waters. ParcelHouse Design offers services in: Interior Design, Home Styling and Decorating, and E-services. We believe your home should not only be beautiful but functional as well. We thrive on making every project as unique as every client. 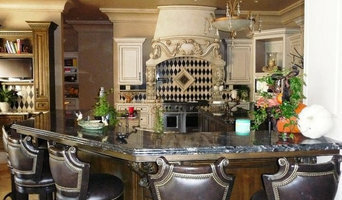 I have had an Interior Design business in the Fresno area since 1986. 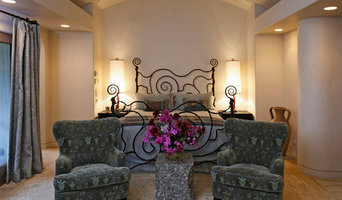 My Intention for design is to have the clients home reflect their own personal style. I have had many opportunities to take part in projects from the planning stages through completion. Commercial & Residential Design. I'm often asked about "rules" for design. Being creative and artistically driven, I cringe at the thought of being confined by rules. Guidelines for use of color and basic rules governing scale, balance and space are my outer limits. All other rules are meant to be loosely interpreted. Some of the most inviting spaces include deviations from what some would consider rules. A residence that shows beautifully on a magazine page may not be comfortable nor practical to live in. My training and expertise in finding the appropriate balance for your project is where you'll truly see the value of a professional design plan. Mavra Z. Patropulos has a commitment to excellence and client satisfaction. She has traveled extensively in Europe and has first-hand learning about the historical value of architecture and the lasting beauty of good design. Inner Decor Associates enhances and modifies spaces for commercial and residential projects with insight, vision, attention to detail and follow through. Starting from the functional needs and desires of the client great versatility and style, aesthetically appealing yet timeless. Mavra is a Professional Member of ASID & Certified Interior Designer in California. Bra fråga, inredningsarkitektur kan vara svårt att definiera. Men i korta drag är det en gren av arkitektur, men med fokus på vad som finns inuti huset och inuti rummen. Inredningsarkitektens uppgift är helt enkelt att utveckla en fungerande och estetiskt tilltalande miljö i rummen. Med hänsyn till allt från färg, ljus, och texturer till inredning, möbler, dörrar och fönster. Inredningsarkitektur är helt enkelt mer än bara dekoration. En inredningsarkitekt i Del Rey kan hjälpa till med inredning både för företag och privatpersoner. Dessutom har en inredningsarkitekt näst intill uteslutande en lång utbildning i bagaget, som lett dem fram till att de kan få stoltsera med just denna titel. Inredningsarkitekt är nämligen inget som alla kan kalla sig för. Ska du exempelvis bygga nytt är det inte ovanligt att en arkitekt ritar själva grunden till huset medan en inredningsarkitekt hjälper till att rita insidan och interiören. En inredningsstylist är helt enkelt som en modestylist fast för interiördesign istället för mode. De skapar inredningskreationer med störst hänsyn till det estetiska. Exempel på uppdrag kan vara homestyling och homestaging för inredningsmagasin och flyttstyling åt mäklare. Det handlar med andra ord inte så mycket om vilken typ av kök man ska ha, utan snarare vilken typ av växt som ska stå på köksbänken. Hänger du med? Så om en inredningsarkitekt i Del Rey, CA kan hjälpa dig med om du ska ha en köksö eller öppna köksskåp (samt var de i så fall ska placeras, hur stora de kan vara etc), så är det stylisten som kan hjälpa till med vad du senare ska placera på din köksö. Förutom inredningsstylist så kallas detta yrke ofta också kort och gott för inredare, men de båda fyller oftast samma funktion, nämligen att inreda och dekorera hem och rum! Med detta så hoppas vi på att du har fått en lite större förståelse när det kommer till att inreda och piffa till ditt hem, oavsett om du låter en heminredare inreda ditt vardagsrum eller ger en inredningsarkitekt i uppdrag att se över hur du ska inreda ditt kök. Eller varför inte både och? Lycka till med att hitta inredningshjälp i Del Rey, CA!